Description: Well. It IS half-off. Perfect for your J3 Costume. 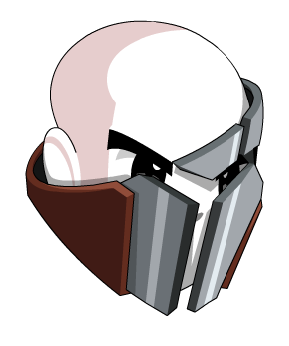 Note: Also see List of all J6 Helmets. Thanks to GM_ francis and Xia.